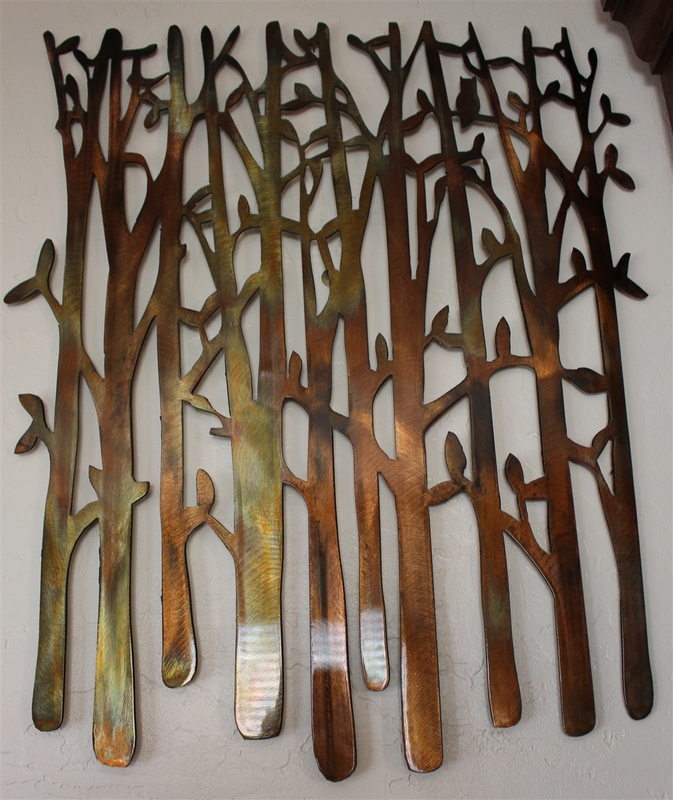 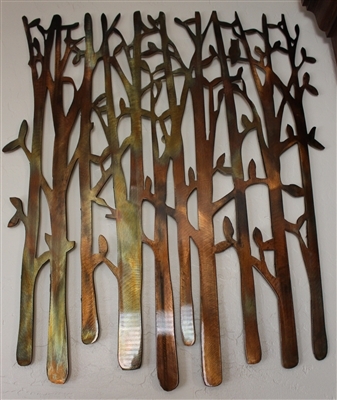 "Birch Tree Metal Wall Art "
Please allow 3-7 days for this item to be created and shipped out. 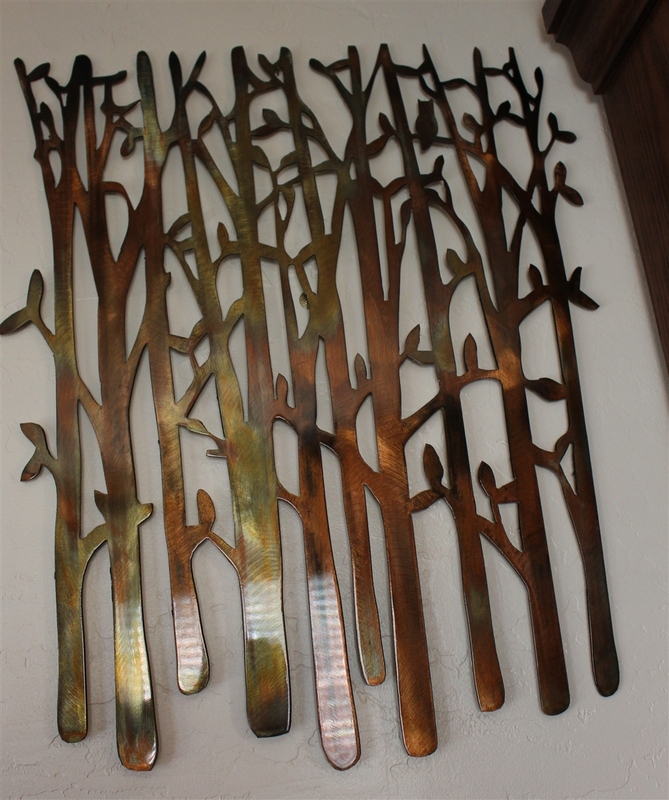 Brackets welded to back for ease of hanging. 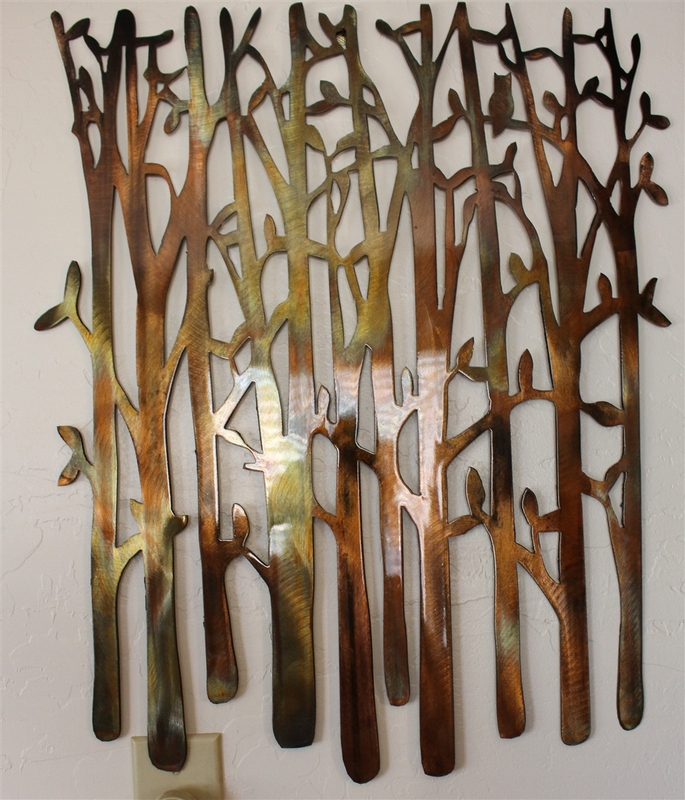 Each sculpture is one of a kind because of the random pattern of surface finishing that catches light from different angles and the coloration technique which is achieved by heating; this causes the vibrant natural colors of steel to form resulting in a unique piece of art each time one is created!